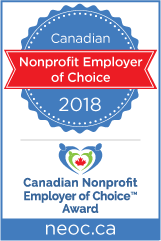 ARTA Recognized as an Employer of Choice – 2 Years in a Row! Tax Season is Just Around the Corner—are you Registered? Do You Need Vaccinations for Your Vacation? Interested in Sharing your Time, Experience and Open Heart? Are you taking these steps to prevent heat stroke? October 12 is World Arthritis Day! It’s October and Flu Immunization is Essential! October 1st is National Seniors Day! September is the month that we focus on Cancer, Arthritis, Pain Management and Friendship! August is Mental Health month. Our focus is depression and seniors. July is National TRAVEL HEALTH Month! Cardiac Arrest Vs Heart Attack? The Walking Challenge Winner has Been Announced! Nunavut is seeking teachers starting in August 2019!